The sciences have tended to investigate music as though it were an autonomous aesthetic domain, a conceptualisation of music that emerges from the nineteenth century and that, though problematized throughout the intervening century within the humanities and social sciences, is still pervasive within science. 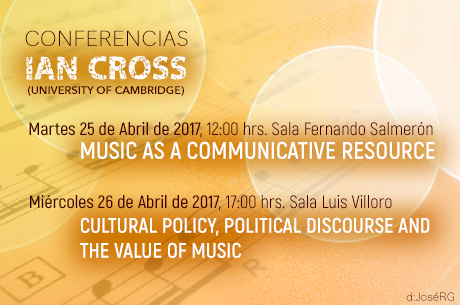 Cross adopts an alternative perspective that derives from ethnomusicological and sociological research, suggesting that music is better understood as an interactive, communicative medium, shows how this reconceptualization helps resolve several paradoxes for conventional scientific approaches to music, and presents some evidence that indicates that music and speech share cognitive and neural resources to the extent that they are best thought of as two overlapping and culturally reconfigurable manifestations of an underlying human communicative repertoire. The ways in which nineteenth-century ideas of music as an aesthetic domain, and notions of music as a commodity that have historical roots in the contestation of those ideas, infuse contemporary political discourse about music and inflect cultural policy in the neoliberal order, introducing a strong element of incoherence into public policy as it concerns music. Cross argues that it is crucial to identify value in music that is grounded in contemporary understandings of music's biological and cultural embeddings; and suggests that doing so can lead to new approaches to conserving and developing music as social practice and as cultural heritage that afford it defensible value beyond the purely economic.